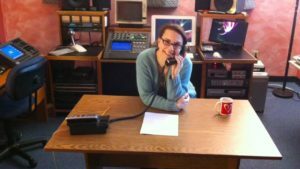 Becket’s is the first voice you’ll hear and the first smiling face you’ll see when you call or visit SoundTrax. As Project Manager, Becket is here to plan and schedule your sessions, help you pick the perfect voice talent for your project and make sure the snack basket and coffee selection remain the envy of recording studios worldwide. She is also a longtime SoundTrax voice talent, having begun her performance career with the UNC Professional Acting Training Program. In the last couple of years Becket’s also recorded a growing number of audio books. A Massachusetts native, over the years, Becket’s owned a cafe, done secondary school Admissions, operated her own personal chef business, and now lives in Chatham County, where she enjoys her boys, her dogs, and the occasional cooking gig.